Home health Do Medicines Really Expire Or Are We Being Taken For A Ride? Do Medicines Really Expire Or Are We Being Taken For A Ride? These are the pressing questions I investigated after my mother-in-law recently said to me, "It doesn't mean anything," when I pointed out that the Tylenol she was about to take had "expired" a little over four years ago. I was a bit mocking in my pronouncement -- feeling superior that I had noticed the chemical corpse in her cabinet -- but she was equally adamant in her reply, and is generally very sage about medical issues. So I gave her a glass of water with the purportedly "dead" drug, of which she took 2 capsules for a pain in the upper back. About half an hour later she reported the pain seemed to have eased a bit. I said, "You could be having a placebo effect," not wanting to simply concede she was right about the drug, and also not actually knowing what I was talking about. On my return to New York and high-speed Internet connection, I immediately scoured the medical databases and general literature for the answer to my question about drug expiration labelling. Second, medical authorities uniformly say it is safe to take drugs past their expiration date -- no matter how "expired" the drugs purportedly are. Except for possibly the rarest of exceptions, you won't get hurt and you certainly won't get killed. 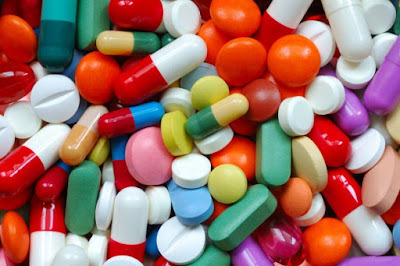 Studies show that expired drugs may lose some of their potency over time, from as little as 5% or less to 50% or more (though usually much less than the latter). Even 10 years after the "expiration date," most drugs have a good deal of their original potency. "The military was sitting on a $1 billion stockpile of drugs and facing the daunting process of destroying and replacing its supply every 2 to 3 years. So it began a testing programme to see if it could extend the life of its inventory. The testing, conducted by the US Food and Drug Administration (FDA), ultimately covered more than 100 drugs, prescription and over-the-counter." The results showed, about 90% of them were safe and effective even 15 years past their expiration date. In the light of these results, a former director of the testing programme, Francis Flaherty, said he concluded that expiration dates put on by manufacturers typically have no bearing on whether a drug is usable for longer. Mr. Flaherty noted that a drug maker is required to prove only that a drug is still good on whatever expiration date the company chooses to set. The expiration date doesn't mean, or even suggest, that the drug will stop being effective after that, nor that it will become harmful. "Manufacturers put expiration dates for marketing, rather than scientific reasons," said Mr. Flaherty, a pharmacist at the FDA until his retirement in 1999. "It's not profitable for them to have products on a shelf for 10 years. They want turnover." The FDA cautioned there isn't enough evidence from the programme, which is weighted towards drugs used during combat, to conclude most drugs in consumers' medicine cabinets are potent beyond the expiration date. However, Joel Davis, a former FDA expiration-date compliance chief, said that with a handful of exceptions -- notably nitroglycerin, insulin and some liquid antibiotics -- most drugs are probably as durable as those the agency has tested for the military. Consider aspirin. Bayer AG puts 2-year or 3-year dates on aspirin and says that it should be discarded after that. But Chris Allen, a vice-president at the Bayer unit that makes aspirin, said the dating is "pretty conservative"; when Bayer had tested 4-year-old aspirin, it remained 100% effective, he said. So why doesn't Bayer set a 4-year expiration date? Because the company often changes packaging, and it undertakes "continuous improvement programmes," Mr. Allen said. Each change triggers a need for more expiration-date testing, and testing each time for a 4-year life would be impractical. Aspirin, if made correctly, is very stable.